My easiest fashion DIY ever over at Dollar Store Crafts. 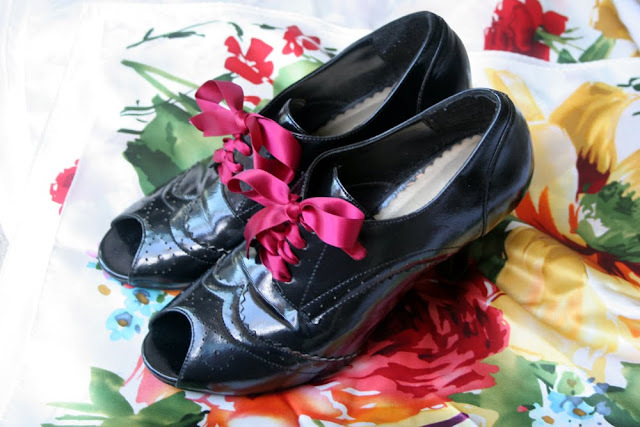 Have you experimented with colored shoelaces? Ok this is amazing and I so need to do this!!! 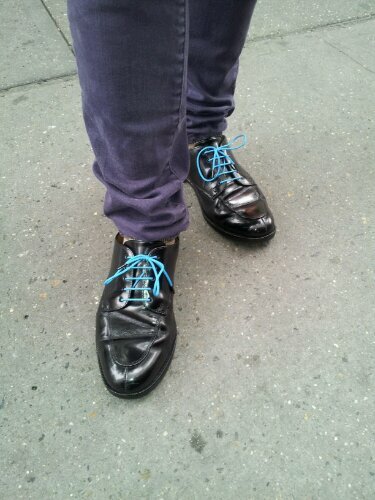 I don't mean it in a bad way at all but YES, I have experimented with colored shoelaces when I was a teenager, lol. We did not have lots of stylish things available in the former USSR so maybe that's where my fascination with DIY comes from. I had a pair of cutest black suede booties and I replaced the original black laces with bright red ones. Wore these with an over-sized bright green sweater (that came down almost to my knees) and bleached skinny jeans (sweater handmade by grandma; jeans bleached by me and mom - but that's a whole another story)). 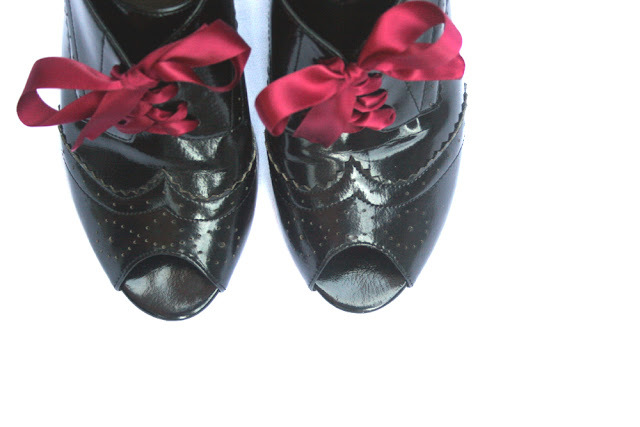 Anyway, your black oxfords with those raspberry-red shoelaces are a grownup version of what i was telling you about. Thanks so much for bringing back good memories! !